(JASPER COUNTY, S.C.) Peacock Subaru Hilton Head, as part of its effort to improve education in its community, donated 150 award-winning science books to Okatie Elementary School. Throughout the month of August, the dealership, located at the Peacock Auto Mall on Highway 278 near Bluffton, S.C., asked customers to personalize custom labels for the science books that were supplied by the American Association for the Advancement of Science. 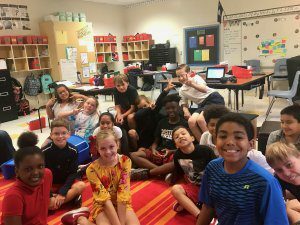 Okatie Elementary is a National Blue Ribbon School that has earned “Palmetto Gold” statewide honors for student achievement and closing achievement gaps. Its mission, based on science, health and technology, is to meet students’ academic needs while promoting character development, leadership and healthy lifestyles. For more information about Peacock Automotive or the Peacock Subaru Hilton Head dealership, visit https://www.peacockautomotive.com/ or call (843) 208-1258. 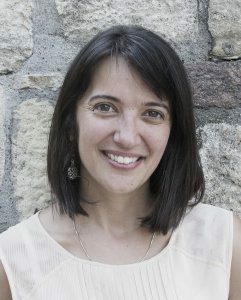 (SAVANNAH, GA) McGill-trained academic Marija Djekic-Ivankovic, Ph.D., a medical research expert with expertise in developing therapies to improve patient health, will bring her message on bone health safeguards at the fourth and final presentation in the 2018 Encourage Health Education Series held on Tuesday, Oct. 30. 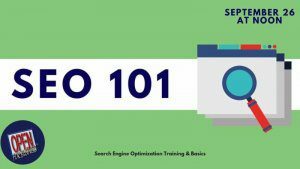 This free lunchtime presentation will take place from 11:30 a.m. to 1 p.m. at the Demere Center for Living, located at 6000 Business Center Dr, Savannah, GA 31405. Renown for her groundbreaking research in vitamin D intake and the status of reproductive-aged women in her native Serbia and Canada, Dr. Djekic-Ivankovic will share her passion, as well as the latest research and new therapies, particularly those that utilize natural products. With an extensive background in pharmacology, biochemistry and nutrition, including over 10-years of experience in the design and execution of molecular, preclinical and clinical research studies, Dr. Djekic-Ivankovic currently works at the RI McGill University Health Center in Montreal. She is a former assistant professor of medical education at Mercer University School of Medicine in Savannah. 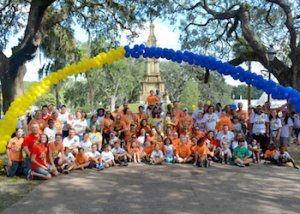 This marks the fifth year for the Enmarket Encourage Health Education Series conducted in partnership with Healthy Savannah, Sandfly Family Dental, Gulfstream Aerospace Corp., Clover Health, Hoist Water, Savannah Morning News and Savannah Magazine. To register for this or any of the upcoming lectures, visit www.healthysavannah.org. (SAVANNAH, GA) Felder & Associates is pleased to announce that Alma Johnson and Cathryn Sinclair have joined the Savannah architecture and design firm as project associates. They will both assist in the production of construction documents, 3D models and other projects to help expedite the design process for the firm’s clients. Felder & Associates, which is approaching its sixth year of operation, has a staff of seven full-time employees with two project associates on staff. Johnson is a recent graduate of the Savannah College of Art & Design (SCAD), with a bachelor of fine arts in architecture. Prior to graduating, she served as the chief of graphics for the Institute for Patient-Centered Design, Savannah Chapter. Before SCAD, she attended Ball State University in Indiana. 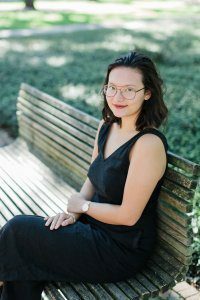 Earlier, as a recipient of a PSI IOTA XI Scholarship, she served on the Cass County Revitalization Project where she helped curate murals and artwork for the city. 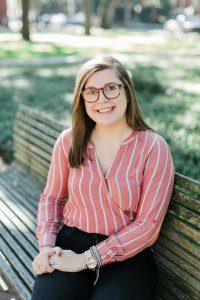 Sinclair had previously served in an internship for Felder & Associates and is also a recent SCAD graduate, having earned a BFA in architecture this year. A native of Walton, Ind., Johnson and her husband Riley, who’s a member of the U.S. Coast Guard, have two dogs named Molly and Shep. In her leisure time, she enjoys gardening, walking the dogs and traveling. Sinclair is a native of Boone, N.C. She has a cat named Fin and enjoys cooking, hiking and kayaking. (SAVANNAH, GA) The Healthy Savannah Faith and Health Coalition, formed in 2014 to help faith-based organizations implement policies and programs to promote a holistic health culture, will host its first citywide health festival on Saturday, Oct. 20. The event, called Health Fest, will run from 10 a.m. to 2 p.m. on Bolton Street between Martin Luther King Jr. Boulevard and Montgomery Street. It will include health screenings, informational lectures, wellness and fitness demonstrations, children’s activities, entertainment and food samplings among other things. Health Fest is free and open to the public. Visit http://www.healthysavannah.org or contact Paula Kreissler paula@healthysavannah.org for more information. As Wilson certified installers, Speros IT technicians have received extensive training on technical installation and best practices. They also have been well versed in the many services and products available from Wilson Electronics for the home, automobile and office. Each booster is designed to improve cellular coverage by amplifying signals and providing uninterrupted service. (JASPER COUNTY, S.C.) Peacock Subaru Hilton Head, as part of its effort to improve education in its community, is donating 150 award-winning science books to Okatie Elementary School. 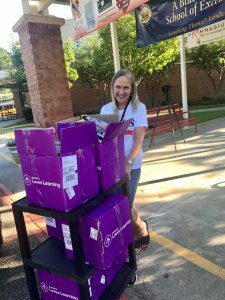 The books will be delivered to the school at 53 Cherry Point Rd. in Okatie, S.C., on Thursday, Sept. 27 at 9 a.m.
(JASPER COUNTY, S.C.) Peacock Automotive will hold a ribbon-cutting and grand opening ceremony on Thursday, Oct. 4, for its new $6 million Audi Hilton Head dealership prominently located at the entrance to Peacock Auto Mall on Highway 278 in Hardeeville, S.C. A VIP reception will be held that evening at 5:30 p.m. The ribbon-cutting ceremony with Audi representatives, Peacock Automotive representatives and local officials will take place at 6:30 p.m. The public and the media are invited to attend. 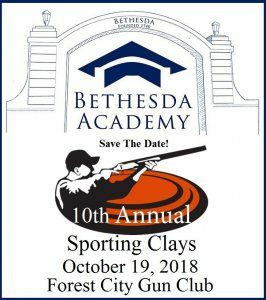 Jeremy Davis Quintet will perform during the event and food will be provided by Skull Creek Boathouse. Three to four hundred guests are expected to attend the event at 46 Auto Mall Blvd. In addition to new automobile sales, the new Audi Hilton Head features a state-of-the-art repair center. It is also a dedicated Audi Sport facility, which provides an expanded inventory of high-performance Audi Sport models along with Audi Sport factory parts and accessories. During the grand opening and ribbon-cutting ceremony, the American Heart Association will also kick off the 22nd Annual Heart Ball of the Southern Coast by announcing the gala theme. Audi Hilton Head is the Legacy Sponsor of the American Heart Association’s 2019 Heart Ball. Additionally, Boys & Girls Club of the Lowcountry will present Mr. Peacock with an award during the event. Peacock Automotive has been a high-level sponsor of the Clubs for many years through a variety of partnerships and sponsorships. For more information about Peacock Automotive or the Audi Hilton Head dealership, visit https://www.peacockautomotive.com/ or https://www.audihiltonhead.com or call (843) 208-1258. For additional information about or to RSVP for the grand opening and ribbon cutting ceremony, contact Jill Jauch at jj@peacockautomotive.com. 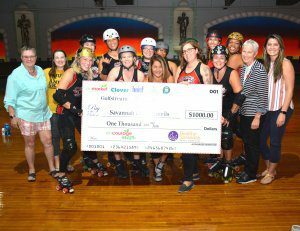 (SAVANNAH, GA) Enmarket and Healthy Savannah presented a $1,000 grant to the Savannah Derby Devils as part of the 2018 Encourage Health Education series. The Savannah Derby Devils is a women’s flat-track roller derby league founded on the principle that the concept of being healthy extends beyond weight and size to emotional and mental health. Derby Devils encourage all women to build their self-confidence and broaden their comfort zone through a culture of team-oriented athleticism and sisterhood. The Derby Devils also support other community nonprofits through partnerships and volunteering. They will use the $1,000 grant to advance these efforts and to continue funding their skating facilities. (SAVANNAH, GA) On October 1, Park Place Outreach is launching a new program called Family Preservation for Teens, funded by the Promoting Safe and Stable Families grant. The Family Preservation program works with teens and their families to receive case management services, support service, and placement prevention services to help teens remain safely in their homes to sustain and maintain family stability. The program operates in the Dobransky Drop-In Center at Park Place Outreach, 514 East Henry Street, where youth and families can seek services Monday-Friday, 11:00am-7:30pm, including counseling, academic support, life skills, coping and anger management, health classes, and other life-skill based programming in a group setting with peers. Staff also works directly with parents on parenting teens. Kendall Walker has been hired as the Program Manager for the Family Preservation for Teens Program. 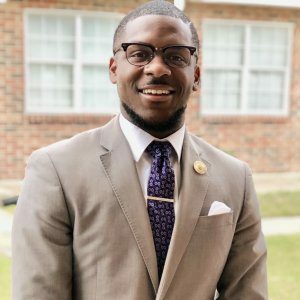 Walker is a graduate of Savannah State University, where he served as President of the Student Government Association, a member of the Foundation Board of Directors, and University System of Georgia Board of Regents, Student Advisory Committee Member. Walker comes to Park Place from the Georgia Southern University – Savannah Graduates Program, where he worked as a College and Career Advisor at Jenkins High School. 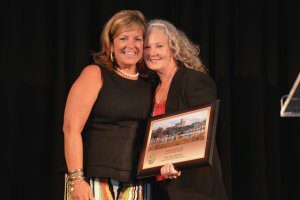 Diana Morrison, right, former Chair of the Savannah Area Chamber of Commerce, presents the Entrepreneur of the Year Award to Cecilia Russo Turner, left, of Cecilia Russo Marketing at the 2018 Chamber Business Awards Banquet. (SAVANNAH, GA) A new treatment designed to stimulate and remodel collagen and address common signs of aging will be announced by Low Country Dermatology during an open house on Thursday, Nov. 8. Low Country Dermatology is the only dermatologist office in the area certified to offer this new treatment known as Cutera Secret RF. Guests are encouraged to bring donations for the Communities in Schools (CIS) of Savannah Kids Kloset. For more information, please visit https://www.facebook.com/events/549428002141834/. (JASPER COUNTY, S.C.) Peacock Automotive will hold a ribbon-cutting and grand opening ceremony on Thursday, Oct. 4, for its new $6 million Audi Hilton Head dealership prominently located at the entrance to Peacock Auto Mall on Highway 278 in Hardeeville, S.C. A VIP reception will be held that evening at 5:30 p.m. The ribbon-cutting ceremony with Audi representatives, Peacock Automotive representatives and local officials will take place at 6:30 p.m. For more information, please visit https://www.peacockautomotive.com/ or https://www.audihiltonhead.com or call (843) 208-1258. 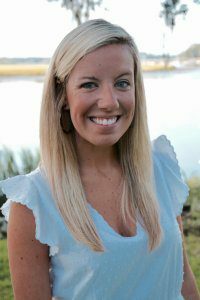 (SAVANNAH, GA) The United Way of the Coastal Empire is pleased to announce its selection of Cecilia Russo Turner, CEO and founder of Cecilia Russo Marketing, to join its 2018 board of directors. 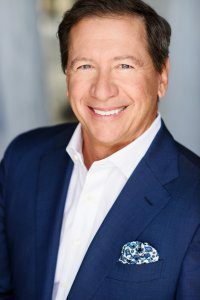 Turner joins a board of 33 community leaders who operate under the direction of a 13-member executive committee. 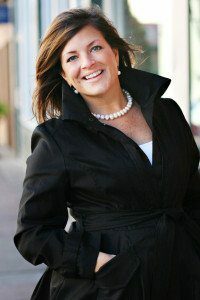 For more information visit https://carriagetradepr.com/united-way-adds-cecilia-russo-turner-to-board-of-directors/. (SAVANNAH, GA) Free Homebuyer’s Seminar, Wednesday, September 26th, 6:30-7:30pm, Keller Williams Realty, 329 Commercial Dr, Savannah, GA 31406. Join local industry experts to determine how to get qualified to finance your home, how to shop for your home, how to insure your home, how to ensure the home you are buying has been well taken care of, and how to complete the purchase of your home and sign on the dotted line. This seminar is free and open to the public. Light refreshments will be served. RSVP by registering here: https://savannahhomebuyingseminar.eventbrite.com For additional information contact Jessica Neeley at 912-355-9814 or neelej2@nationwide.com.